In a year in which Vermont lawmakers passed controversial new gun regulations, all eyes are now on the electorate — and the electorate’s eyes are on the new Gun Owners of Vermont scorecard, which ranks candidates based on their loyalty to the Second Amendment. Gov. 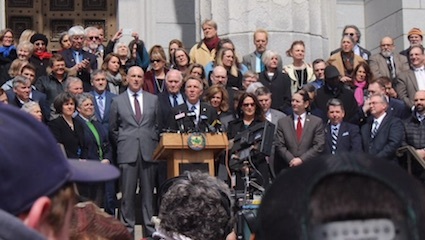 Phil Scott, standing on the steps of the Statehouse on April 11, 2018, defended his decision to impose gun control on Vermonters. In April, Gov. 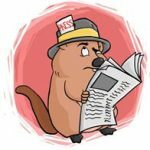 Phil Scott and the Vermont Legislature did the unthinkable in the Green Mountain State: imposed universal background checks, set low magazine capacity limits, banned bump stocks and raised the gun purchase age. In all, 17 senators and 85 representatives voted for the changes found in S.55. The bill’s passage, said to be a necessary response to the Parkland, Florida, school shooting, was announced to throngs of hecklers and some supporters. But if Gun Owners of Vermont Vice President Bob DePino has his way, gun control in Vermont will soon return back to its “third rail” status. He is urging voters to use his group’s 2018 rankings to elect candidates — Republican or Democrat — who support the state’s longstanding gun freedom. Highlights from the 2018 report include a listing of all 293 candidates. However, only 196 received scores for their positions on the Second Amendment. In all, 85 candidates earned “pro” Second Amendment status, which DePino calls “a passing grade.” About 111 candidates are ranked as “anti” Second Amendment, while 83 candidates are considered “unknown” regarding their position on guns. In Washington County, for example, two candidates ranked as “strongly pro 2A” — Chris Bradley of Northfield and Ken Alger of South Barre, both Republicans — are running for Senate. 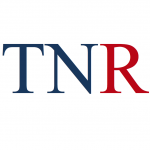 A third Republican, Dwayne Tucker of Barre, is ranked as “unknown.” The men are running against “rabidly anti-gun” Sen. Anthony Pollina, P/D-Washington, and “extremely anti-gun” Sen. Ann Cummings, D-Washington. He said it could cost about $30,000 to run for office. “I’m not looking at this as money, I’m looking at this as how can I help my state,” he said. In the Caledonia-2 district, Lawrence Hamel, a Republican from Hardwick, is running for a House seat. A gun trainer and development corporation owner who received a “strong pro 2A” ranking from Gun Owners of Vermont, Hamel has run two times already, but lost to incumbent Rep. Joseph Troiano, D-Stannard. Hamel sees an opportunity to win, however, now that Troiano carries an “extreme anti-gun” ranking. He said he wasn’t sure about running, but S.55 and the cost of living and working in Vermont have persuaded him to try a third time. Hamel said he has made recent investments into revitalizing deteriorated buildings in Hardwick, only to watch lawmakers rase the nonresidential property tax. He said if he is elected, he will work to make Vermont more affordable for residents and businesses. In past races, Troiano defeated Hamel by fewer than 100 votes, out of about 2,000 votes cast. Hamel and Troiano are running uncontested for the Aug. 14 primary, meaning they will face off for the November election. 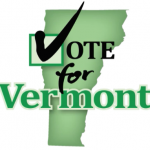 Find the full list of Gun Owners of Vermont candidates and rankings here online. Party affiliation is being used as deciding criterion to vote for — or against — a given candidate who may, or not, have chosen that affiliation based on the district where the candidate is running. So many mindlessly vote a “straight ticket” that “party” means getting “our guy” elected and is otherwise meaningless. We have seen what happened with Turncoat Scott. Listening to what they say while watching what they do would seem to be the wisest course. The Rodgers horse in the race being spammed so heavily in these pages is definitely one to investigate. Meanwhile, the guy with the honest job of veggie farming seems to be the one to support, much as I dislike the idea of single issue voting. Where is the candidate with the firehose to flush out the golden dome? Nope – use Bob’s list – it’s well thought out and a lot of the new candidates are GOP simply because we hate the liberal ideology of theft of rights. Just went through the list of pro and anti gun candidates. READ THE LIST. Notice there are a number of REPUBLICANS who are ANTI gun. Now, how can they be a Republican and be against the Second Amendment? They are NOT Republicans, at all. Democrats in Republican clothing. Don’t vote for them based on party affiliation. They are not what they appear to be. I know who I won’t be voting for,any current legislator and mr. current governor who voted for S. 55. I’ve spoken with Mr.Stern and he has my support and vote. We have one person running for governor that is a hardworking person just like the rest of the vermonters are and he is just like us trying to eke out a living for his family and himself. Yes you are right there Richard. I jump in my truck before 1 AM three times a week to buy produce so my customers can have the freshest produce at affordable prices and I manage to run a state-wide campaign for governor. I am committed to fixing this very broken state enough to give up my life this summer and self-fund my campaign. And if someone is as strong a supporter of our two Constitutions as I am there is no need to worry about his or her commitment to gun rights. So if you want to see Vermont get more affordable and business friendly there is only one choice, the person whose platform is based on affordability and creating a positive business environment. Keith, IF I hadn’t been driven out of Vermont by the astronomical taxes in Vermont you would have my Vote this year. I still have family in Vermont, and will certainly encourage them to vote for you. Rest assured if you become the commander in chief, you will have to fight tooth and nail with the dems and progs to get them to take their claws off Vermont’s hard working folks wallets. 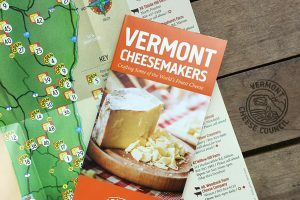 They will do anything they can to continue to “feed” the people of Vermont by making them more and more dependent on them. I appreciate your support. Unfortunately I hear almost daily from people saying that it’s time to leave, they just can’t afford to stay any longer. So what is some people’s solution? Vote for the candidate who supports higher taxes and bigger government; even trying to have a write in campaign for someone with a record of voting for higher taxes. The thought process of these people is absolutely astounding. The worst part is these same people describe themselves as Republicans. It looks like if you can change the makeup in Chittenden Country, we’ll have a chance ?? Looks like the flatlanders found a home !!! Time to flush the toilets in Montpelier. There is only one person in this race that has been supporting the constitutional rights of Vermont her since 2003 when he became a legislator.. he now serves as a senator and has been very outspoken regarding the disgusting laws imposed Upon Us by the REPUBLICAN governor Phil Scott. Just like the rest of the people in the race today… one is claiming to be Republican after having run under other parties and the others like him have no experience in government. This man has been defending the rights of all vermonters for years and needs no on-the-job training two step right into the job of governor of the state of Vermont.. I am a registered independent and I usually vote Republican but there is absolutely no one else in this race Republican or Democrat that is deserving to serve as our governor or no one that is more prepared to serve as our governor. I am writing in John Rodgers for governor of Vermont on the Democratic ticket on August 14th in the primary. The good news is that when doing this it has absolutely no effect on the down-ticket candidates that we all want to elect to help him out because they are not in primary races. We have some wonderful videos that this man has put out explaining his platform and many more coming. We want to be sure every voter is educated before they go out and place a vote in such an important election. It is a Facebook page and the name of it is John Rodgers or governor 2018.. It is a Facebook page and the name of it is John Rodgers for governor 2018..
Lol. Ya if u can get on the page to ask questions..
Because I have a dislike for those who spam forums with multiple redundant verbose posts, I will certainly not be casting a vote for anybody named Rodgers. p.s. Try something new and exciting: combining ideas in a single sentence. It works, and has less tendency to whiz off those you try to influence – -no matter whose kid you are. Vote for a Democrat? They lie just to get in. Then they turn around and vote straight down the party ticket. Don’t be fooled. Democrats are notorious liars. John Rodgers…DEMOCRAT…is NOT what we want for a governor. He would be worse than Scott. Stick to someone within the Republican party… although even they are ‘iffy’ ; especially in Vermont. But whatever you do, DON’T vote for a Democrat. Let’s not forget it was a republican Governor Phil Scott who lied to us to get into office and then impose these gun laws on us after making promise after promise to us. And we have other Democrat that have crossed the aisle to stand with us and fight for our constitutional rights and it is really disturbing to listen to people like you and others that are slowly destroying the relationship we have with these Democrats and encouraging them to leave our side instead of Standing Tall with us.. The damage that’s being done is incredible.. I disagree with that blanket statement about all democrats lying. We happen to have a very good Democratic state representative, who caucuses with the Republicans, here in Arlington. I like her very much as she has a Ph.D. in Economics and gives considerable THOUGHT to every bill as to it ramifications and unintended consequences to not only all her constituents but the Stae of Vermont, too. She even sued the past Democratic governor over a bill regarding single-payer health care as he did not come through with the required costs. He backed down. Her name is Cynthia Browning. Chose wisely. Look beyond the rhetoric and talking points.